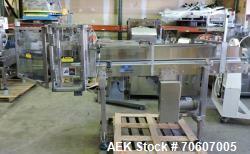 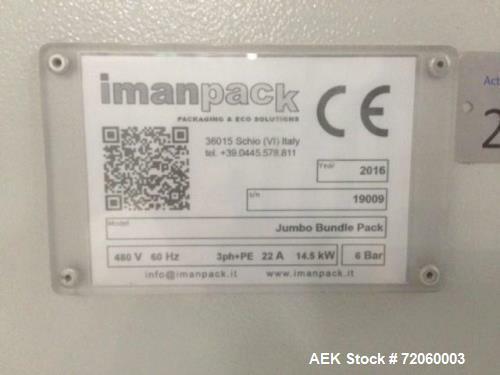 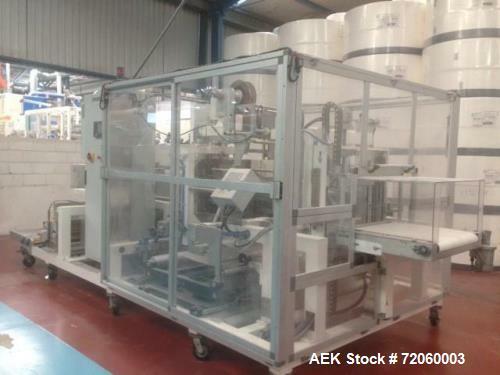 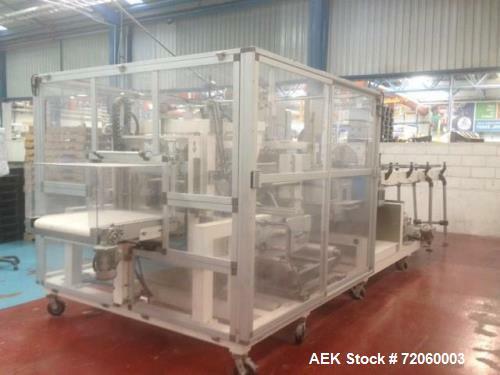 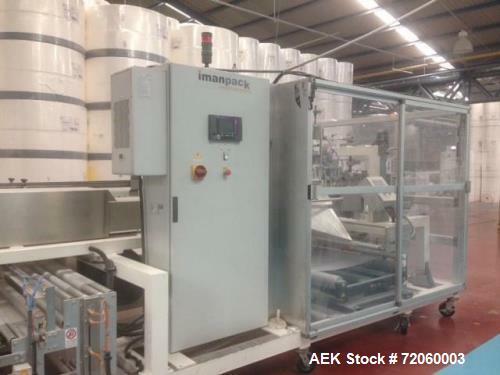 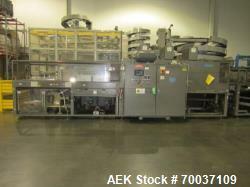 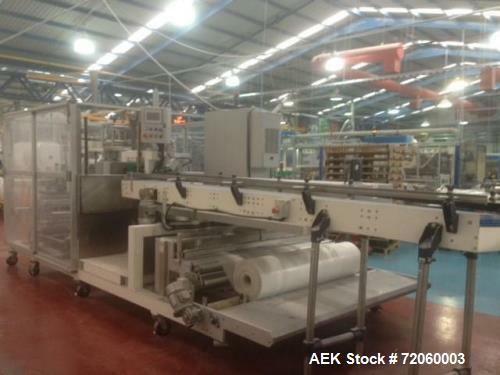 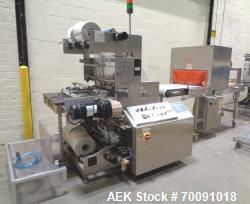 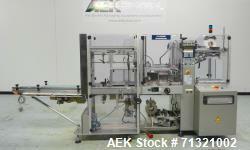 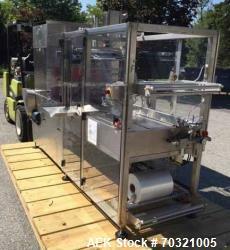 Used- Imanpack Jumbo Bundler with Intermittent Motion Horizontal Wrapping Machine. 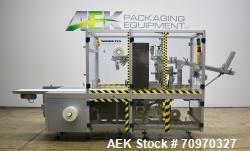 Suitable for wrapping large size products in multiple packages using polyethylene film. 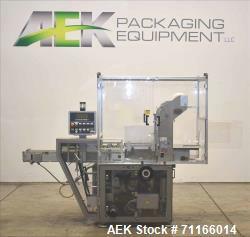 Fixed forming unit. 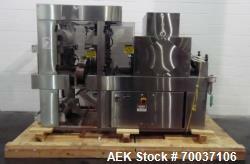 3 forming tubes included for different sizes. 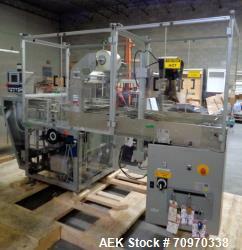 Pusher driven by servomotors to transfer the product through the forming tunnel towards the transverse sealing unit.